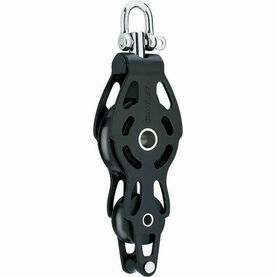 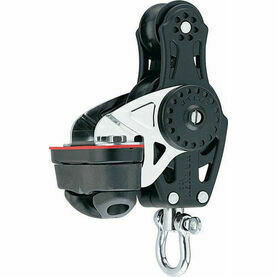 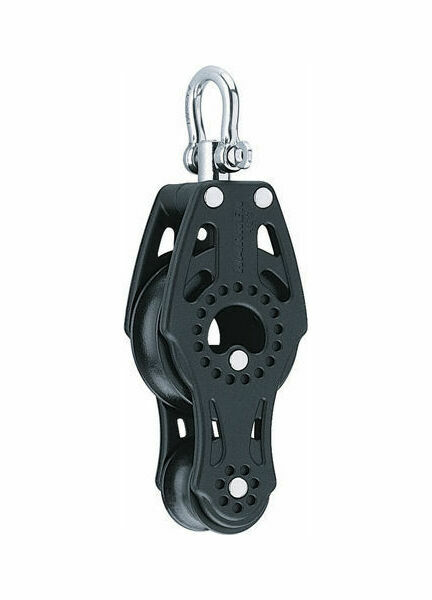 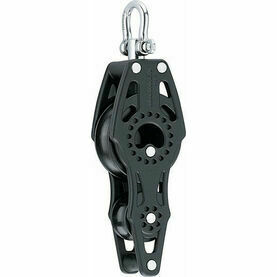 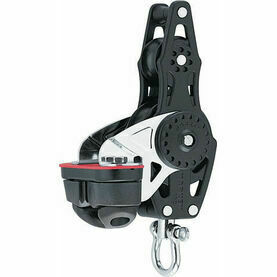 This 57mm Fiddle AirBloc Swivel is the ideal companion for Harken’s popular line of Black Magic Blocks. 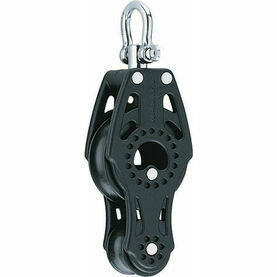 Kept at a minimal weight through nylon resin sideplates (instead of stainless steel straps), this boat block has a very high working load in spite of its compact size. 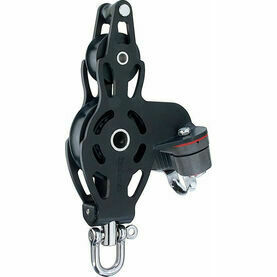 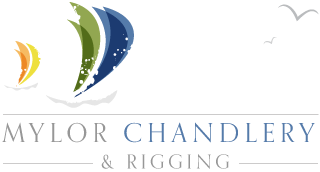 Reinforced with densely packed glass fibres, the Fiddle Block allows for safe, easy trimming, and is a reliable and affordable choice for sailors of all abilities.